kon’nichiwa everybody and welcome to the first ever issue 6 of the Spirit Spotlight, the write up of the best spirits you can find at The Dial. This week we are travelling to the other side of the world, to the far east and the land of the rising sun, Japan, to check out some Japanese whiskey which is growing more and more in popularity. The first commercial production of Japan started in 1924 with the opening of their first distillery, Yamazaki. So it is only prudent that we divulge some information on Yamazaki single malt whiskey. Now Yamazaki actually has roots in the wine business and it is probably why, if you try it, you can smell a lot of fruity notes. Yamazaki was opened by Suntory, a company that originally sold wine at the end of the 1800s. They later branched into other areas and opened Yamazaki distillery to produce whiskey. You have probably heard of Hibiki, one of the currently more popular whiskeys that is aged for 17 years, but it all started with Yamazaki. Not only is it the original, it feels cool to say. Go on, give it a try. So yamazaki distillery is Japan’s oldest whiskey distillery and they were inspired in the methods of creating Scottish whiskey. However they wanted to create their own unique approach and created the distillery in direct contrast to Scottish climates, nestling the distilary on the edge of Kyoto where the purest and softest waters of Japan originates. The warmer temperatures and humidity of the location provide ideal conditions for maturing whiskey in casks and has become known as Suntory Maturation. 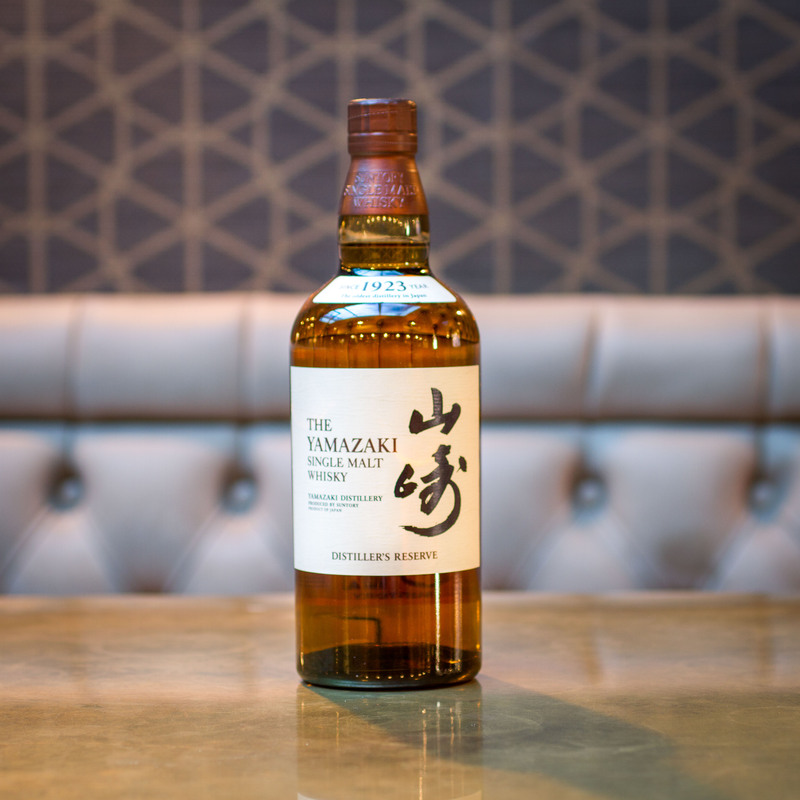 With the history of the company being in wine, the distillery started using wine and sherry casks to mature Yamazaki whiskey. Doing so infused strawberry and red berry notes into the whiskey. They also added malts matured in mizunara casks adding a slight oaky note. Overall, the notes come together to create a top quality whiskey that has stood the test of time and only gets more popular. Soak the sugar with 2-3 dashes of bitters, Angostura is recommended. Crush the soaked sugar with a muddler, spoon, hammer, it doesn’t matter, whatever you can find. Add 2-3 ice cubes, make sure they are frozen dry or use more ice, you want to get a cold drink and not water it down, so more ice is better. Pour in 50ml Yamazaki single malt whiskey. You usually garnish with an orange peel, but I recommend a strawberry to compliment the fruity notes. Or you can drink it neat, simples! Remember that if all this sounds like hard work you can let us look after you, at The Dial.